No age statement and the heat on the palate maybe a hint to the age of this malt, but the alcohol content is also a factor. I do enjoy this stuff at full strength for the really intense flavours which are outside the normal range for single malts. Nose: Tropical fruit, coconut, banana, sweet nectarous and light. Taste: Hot alcohol, tropical fruit and vanilla, some spice. Finish: Long with spice and fruit. My fear is that the public will be wooed into the NA saddle with smashing bottlings, which then become less brilliant in time, and finally the public won't remember what it is missing from the older, bygone 12 years, and even older. . . . . Interesting about the strengths. I was curious about this one, but I think I will stay away from the common 46% version. Very light in colour, chardonnay. Nose is iodine and seashore. Maple-glazed dead fish. First taste is maritime and fresh. Very salty aftertaste. The sales figures and popularity of Old Pulteney have gained a lot in recent years. Their products are marketed as the “genuine maritime malt” and in January 2010, they launched this WK499 (the registration number of the boat) as a tribute to the Isabella Fortuna. The whisky doesn’t have an age statement, but is said to be less than 10 years old and is only available in travel retail. Nose: fresh and crisp start with vanilla and quite some fruits, mostly apples and pears. Some citrus. A hint of sweet coconut. 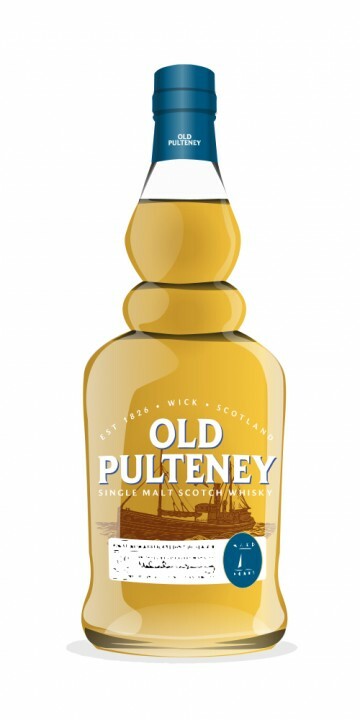 After a while, the typical Old Pulteney saltiness comes through with notes of wet grains and limestone. Slightly youngish but really attractive. Mouth: fierce attack on dry grassy notes, salt and lemon. A bit harsh in that respect – like the salty first sip of a margarita cocktail. There’s a malty sweetness but it’s not big enough to find a pleasant balance. Maybe still a hint of vanilla in the background? Hints of peat as well. Finish: really dry and fairly bitter, with lemon and salt again. Medium long. This Old Pulteney WK499 took a great start with a characterful nose. Unfortunately it goes a bit downhill after that. The tangy salt and dry, bitterish notes are a little overpowering.